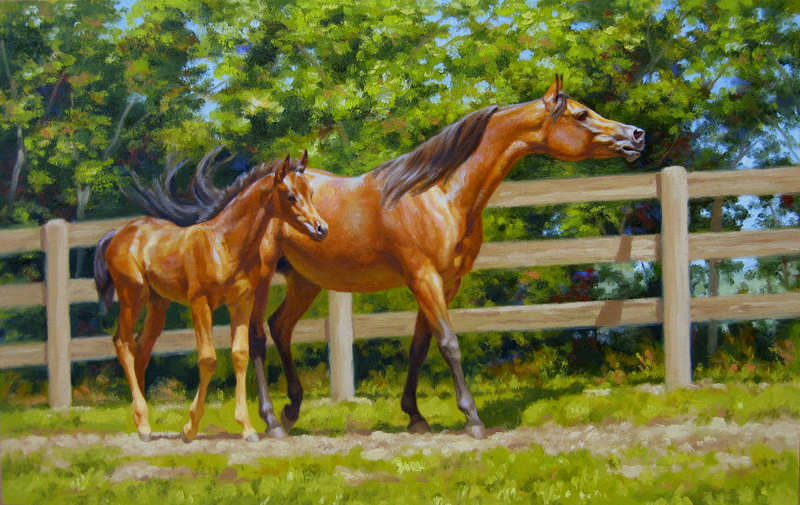 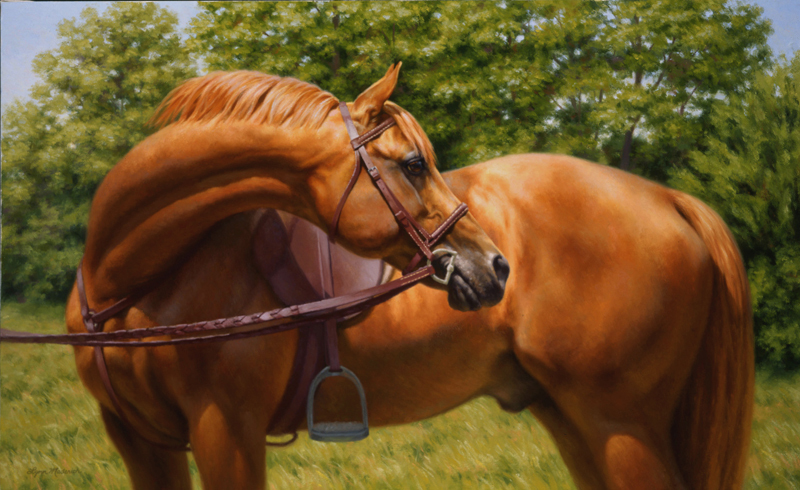 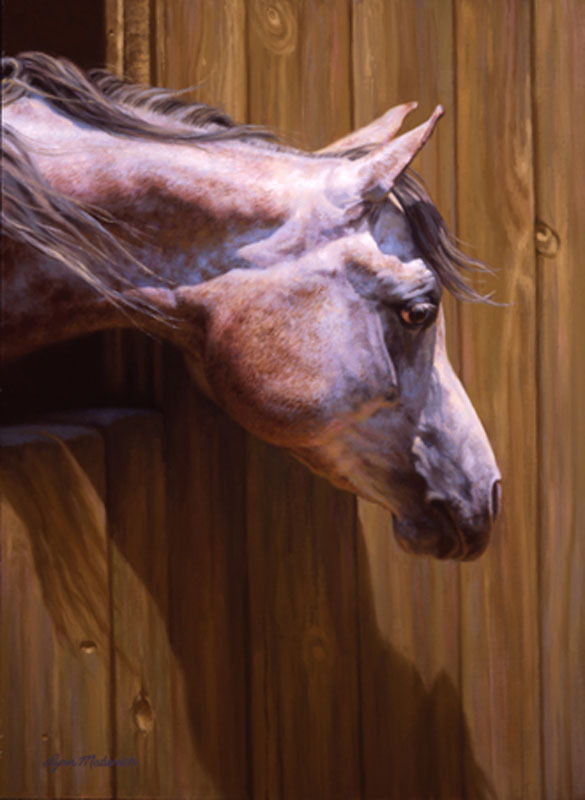 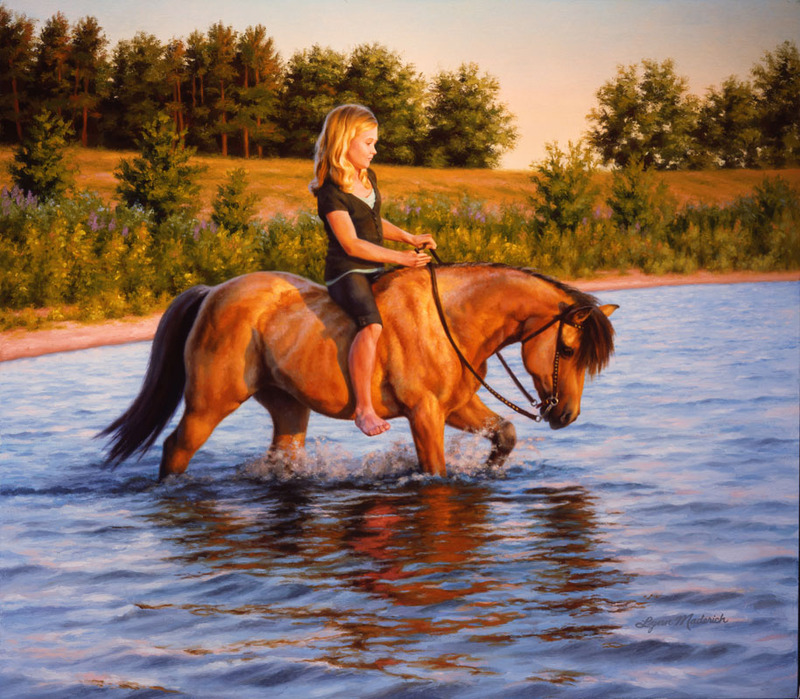 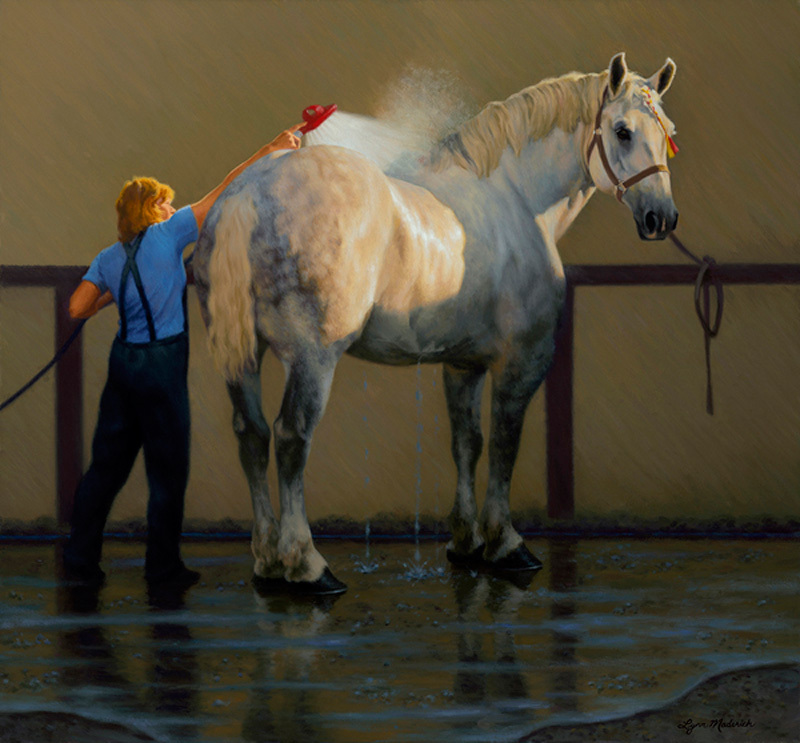 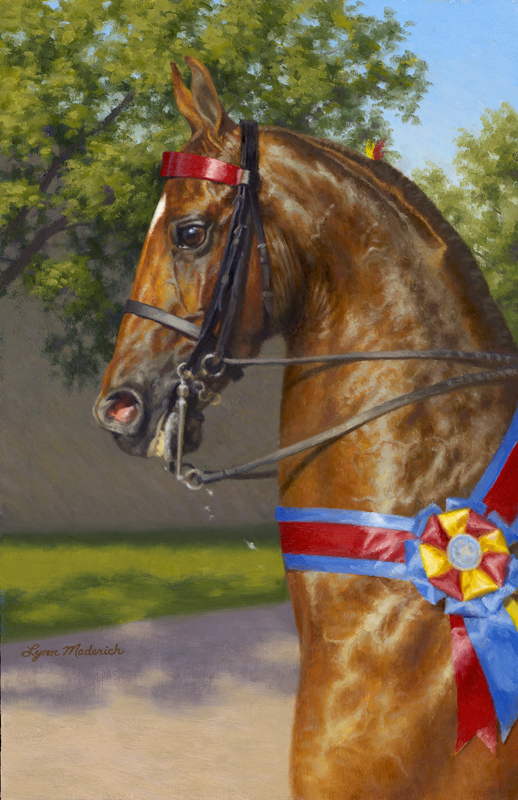 Winner of The Sam Savitt Award at the 2006 American Academy of Equine Art juried show. 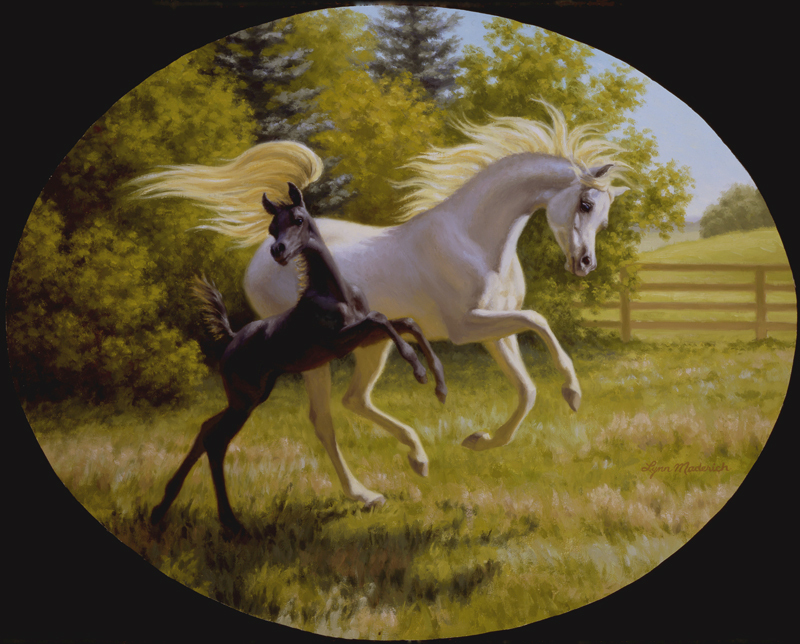 Cover art on Horses In Art magazine, Spring, 2007. 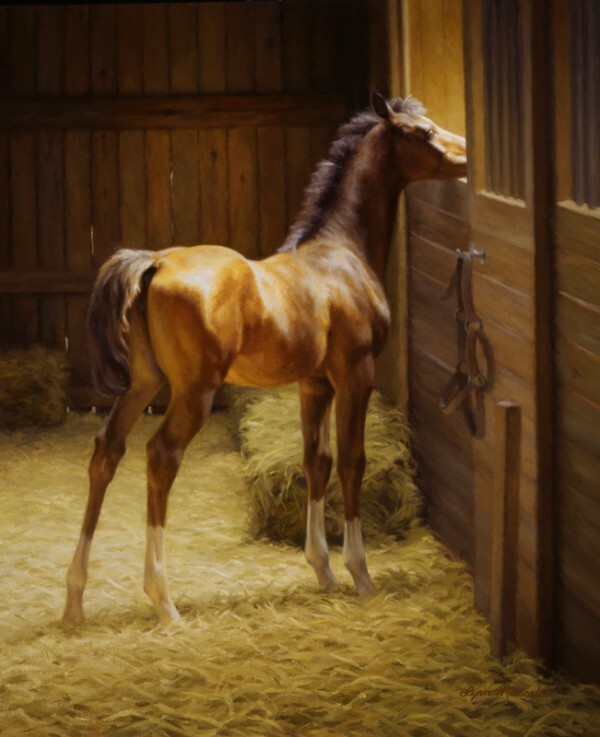 This painting started with a small, poorly focused snapshot I took inside a barn aisle many years ago. 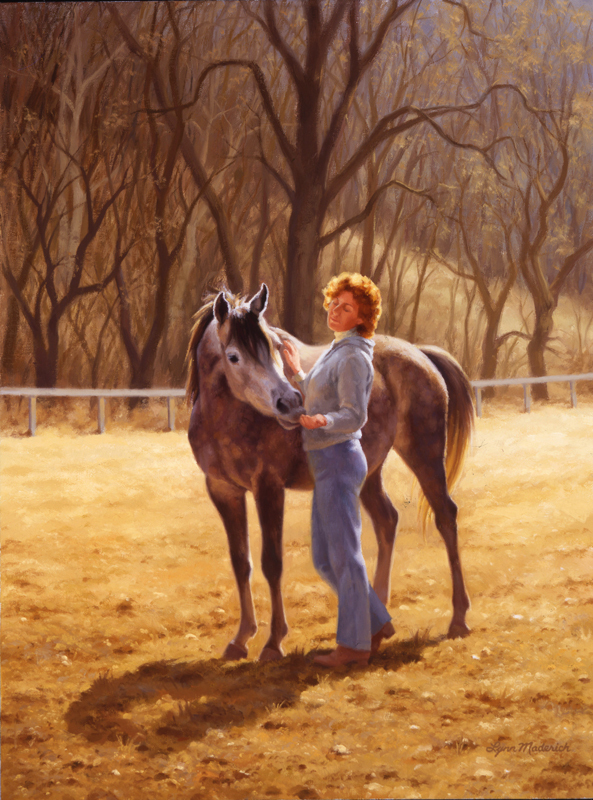 The filly’s head was a blur because she moved just as I snapped the shutter and there was a person in the foreground blocking part of the aisle but I had to paint this scene about light and mood. 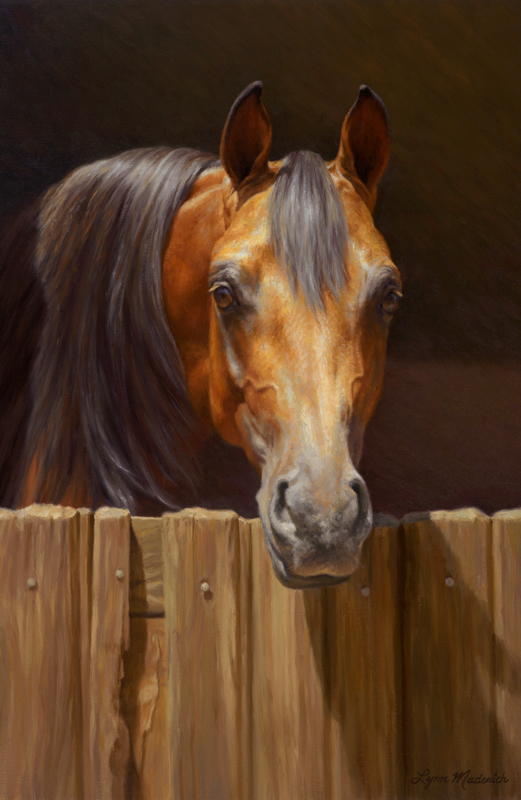 I was particularly humbled that Nosy received the Sam Savitt Award from the AAEA show because he was a childhood horse artist hero of mine.